Housed in an old service station, Payne’s Bar-B-Que is a Memphis institution: no frills, family-run, slamming barbecue that’ll set you back less than $10 for a full meal. 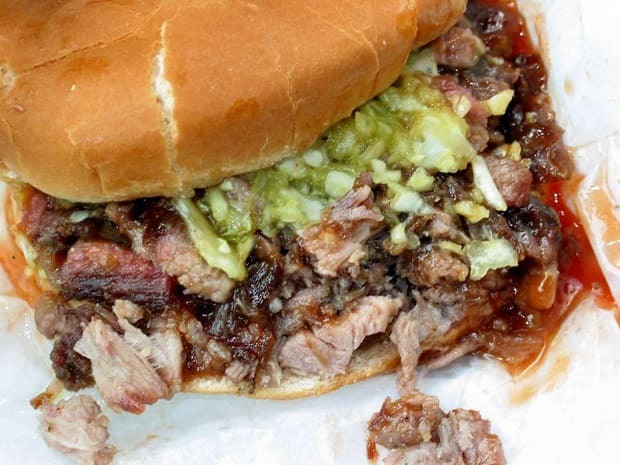 Barbecue devotees—both local and otherwise—swear by the place, and Payne’s prides itself on its mustard based slaw, a tangy sauce with a different bite than you’ll find elsewhere around town (think somewhere between Memphis sweetness and Carolina vinegar), and a finely chopped pulled pork sandwich marked by crispy bits of burnt edges that give Payne’s sandwiches a signature feel. Meals come on Styrofoam plates and with plastic forks, but you don’t come for the atmosphere, you come from the food. Shut up and eat.